We all know that mums are the best, so why not advertise it? 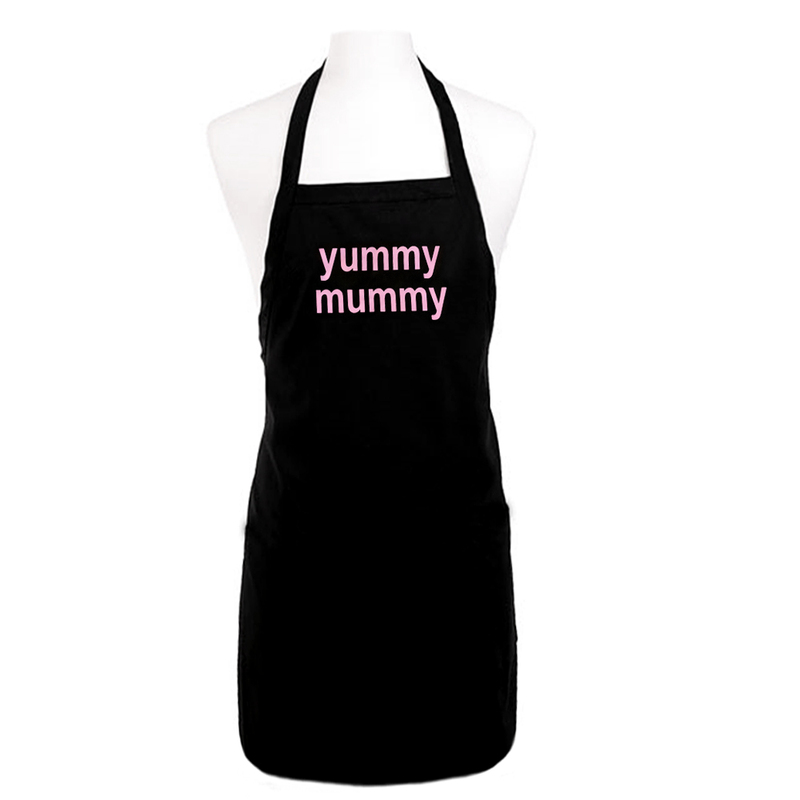 Whether you want to let a special mum just how important they are, or you’re a great mum yourself and you want to tell the world – this Yummy Mummy Apron is the best way to do it. Designed in Australia, this funky apron is made from thick cotton drill and printed with the words “yummy mummy” in pink writing across the front. A great way to send a gentle hint to people in the kitchen, this apron puts the “b” in subtle! Best of all, it’s designed to stand up to any stray spills and splatters in the kitchen. Whether you’re is standing over the barbecue, baking a cake or just attempting to maintain some semblance of tidiness when serving up dinner, this apron will keep you covered. After all, doesn’t every Yummy Mummy deserve the best treatment? Made from thick 100% cotton drill. Decorated with the words “yummy mummy” in pink print. Features a halter strap and tie-up waist straps.